An impaired man was behind the wheel of an impaired BMW speeding south on Hoyt Street just after 9 p.m. last Friday when, as it passed a patrol car, one of its headlights fell off, Darien police said. Feb. 1, 2019 Arrest photo of Robert Dockham, 33, of Woodway Street in Stamford, charged with driving while under the influence. The dark-colored BMW was being driven by Robert Dockham, 33, of Woodway Road in Stamford when the police officer saw the headlight fall off the car onto the roadway. (Police didn’t say where on Hoyt Street the officer first found the vehicle or stopped it; Woodway Road intersects with Hoyt Street in Darien, just south of Woodway Country Club). As the officer followed the car, it reached speeds of 55 mph in a 30 mph zone. An officer on patrol observed a dark BMW traveling South on Hoyt St. at a high rate of speed. As the vehicle passed the officer, one of the headlamps fell off of the BMW, landing on Hoyt St. When the officer caught up to the BMW, the vehicle was paced at 55mph in a clearly marked 30 mph zone. A motor vehicle stop was conducted. Officers made contact with the driver, identified as Robert Dockham. When the car was stopped by the officer, Dockham seemed confused, and the officer smelled the odor of an alcoholic drink coming from the car. Dockham’s speech was slurred. He admitted that he’d been drinking. Officers saw fluid leaking from the vehicle and what seemed to be fresh damage on the front end. Dockham denied being in an accident, and police could find no reports of a recent hit-and-run accident in Darien or in nearby communities. 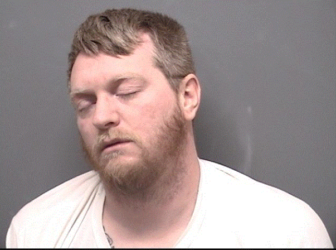 Field sobriety tests were administered to Dockham, who didn’t complete them to an acceptable standard, and he was arrested on charges of driving while under the influence, driving without proper headlights and driving too fast for road conditions. Dockham was released more than 12 hours later, at 9:25 a.m., Friday after posting a $250 bond. He is scheduled to appear Feb. 14 in state Superior Court in Stamford. A 51-year-old woman charged with driving while under the influence was stopped by a police officer after the officer saw her swerving her car out of its lane several times and turning without using a blinker police said. Darien police described what happened with this account, including accusations not proven in court: At 12:33 a.m., Thursday, March 7, the officer, who was on the Post Road near Thorndal Circle, saw a black Mercedes sedan headed east on the Post Road, swerving out of its lane several times before it turned into a parking lot without using a blinker.